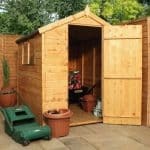 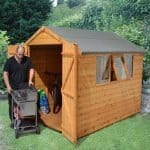 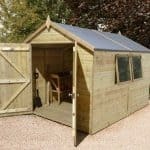 This is a wooden shed which has been pressure treated meaning it is low maintenance. 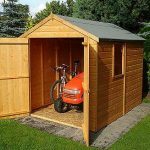 It is the perfect partner for all your garden equipment, furniture and children’s toys. 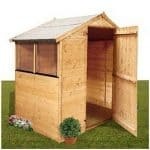 There are large double doors for easy transportation and two fixed windows allowing plenty of light inside. 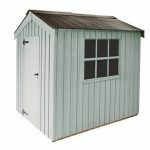 With a handsome roof and made out of long lasting and hard wearing wood it is an excellent choice. 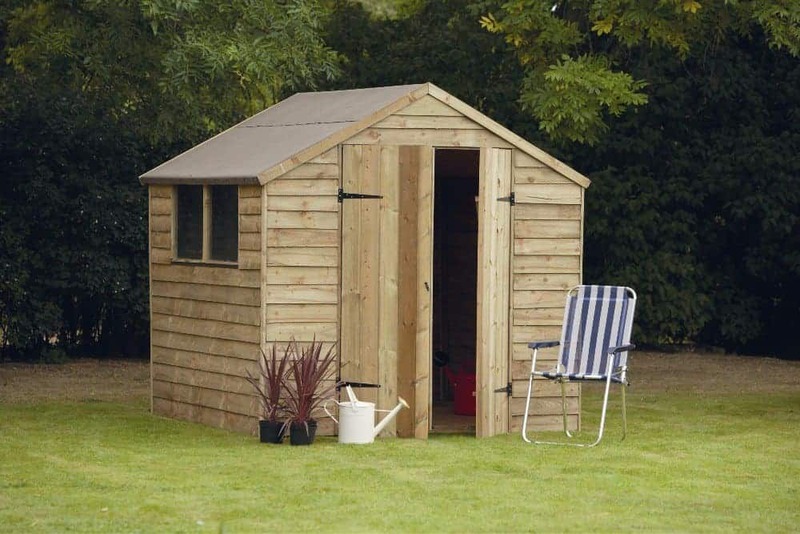 This shed also comes with a 15 year anti-rot guarantee and is delivered and assembled for your convenience.